This guesthouse was so friendly and homely - a bit like staying in a small family motel in country Australia - but in Ancient Corinth, a short walk from the ruins! The rooms are simple, very clean, comfortable, the host (who is Greek/Aussie) went out of her way to be helpful, and if you have your car, then parking is a dream. I particularly loved the sense of family - she had visitors, and also family helping her, and we all chatted...they helped me out getting to the train... really lovely. Jo is a fabulous hostess. We enjoyed talking with her about her life in Greece and Australia. Breakfast was excellent. Both the ruins at Corinth and dinner options are a less than 10 minute walk. Parking is off-road and directly in front of the property. 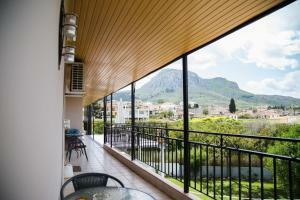 The wonderful view from the balcony included Corinth, the Corinth ruins and Acrocorinth (well worth the drive). The in-room fridge was a nice convenience. Wonderful accommodations, wonderful hosts. We felt like we were staying with family! Highly recommended. Good location near ancient Corinth. Nice breakfast. Breakfast was excellent, with something homemade each day. Jo is a wonderful proprietress. She is welcoming, accommodating, responsive to any inquiries you may have. 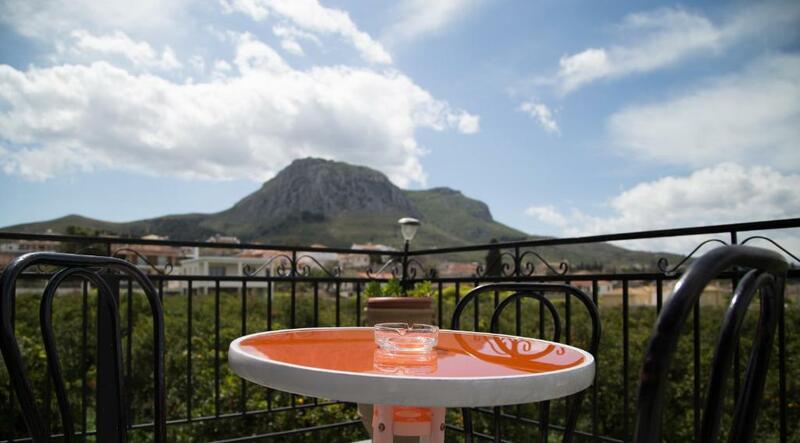 Jo's is a great place to stay to explore Ancient Corinth. We enjoyed the warm welcome, perfect breakfast and excellent facilities. 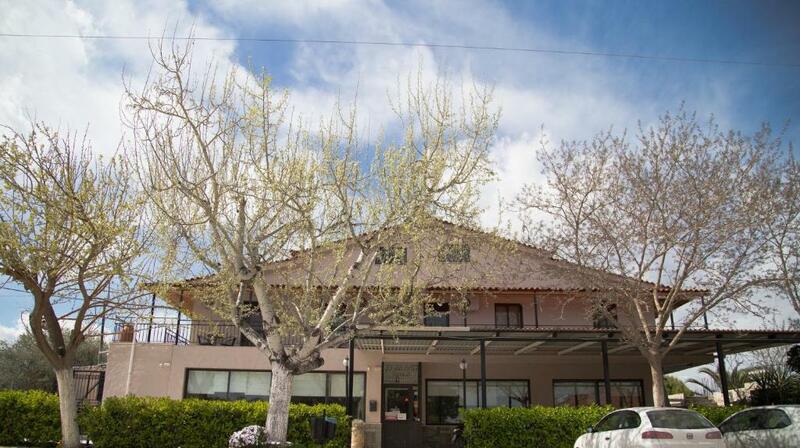 Very good located near the ancient Korinthe and castle, near highways to Napflio and Epidaurus. It was an added value to our trip through Greece. Breakfast was nice, room was well equipped and clean, the owners were friendly. Jo is a very helpful and friendly host. She speaks good English. The keys were easy to collect from Reception. The breakfast was home-cooked and was the best we had in two weeks’ travelling in the Peloponnesos. The rooms are located in a village just 2-3 minutes off the motorway and are well-signed up. There is ample car parking on site. We had a quiet room at the back of the property with a balcony overlooking an orange orchard and with views across to Ancient Corinth and views upwards to Acrocorinth. Lock in a great price for Jo Marinis Rooms – rated 9 by recent guests! 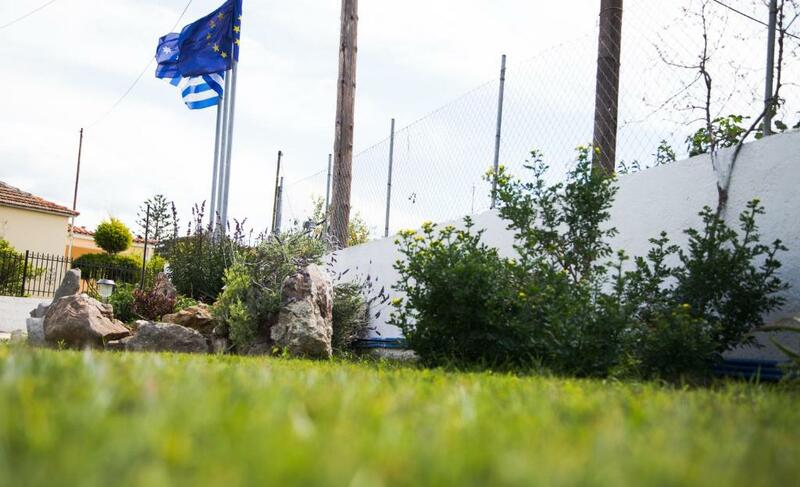 Set amid well-tended gardens, the family-run Jo Marinis Rooms is located in Ancient Corinth, just 1,650 feet from the Archaeological Museum. It offers a snack bar, a lounge area with board games and air-conditioned rooms with free Wi-Fi. Opening to a balcony overlooking the garden or the mountain, the rooms of Jo Marinis are elegantly decorated with wooden furnishings and light colors. Each unit is equipped with a fridge, a TV and a safe. The private bathroom is stocked with a hairdryer. Guests can start their day with a continental breakfast served daily at the dining area. Drinks, coffee and light meals can also be enjoyed at the on-site snack bar. A mini market can be found at 1,650 feet. Jo Marinis Rooms lies within 6.8 mi from the Isthmus of Corinth and 4.3 mi from Corinthos Town. The seaside Lechaio Village is at 2.8 mi, while Loutraki Village is 12 mi away. Free private parking is possible on site. 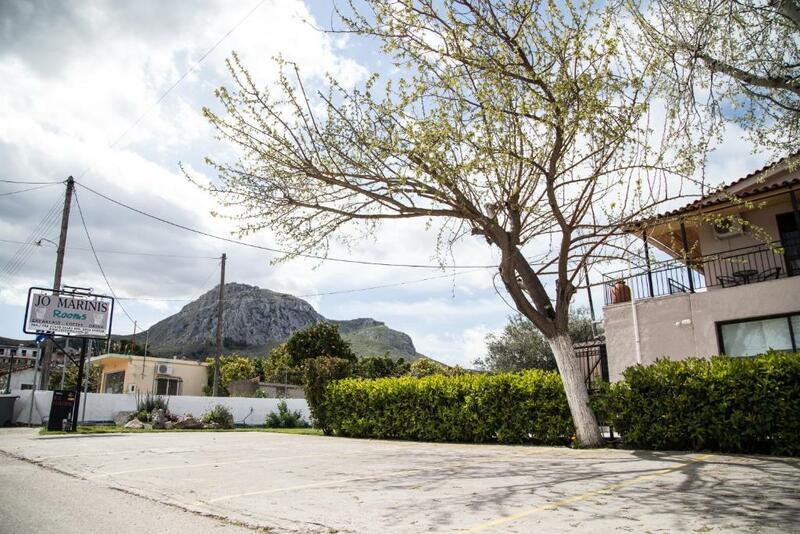 This property also has one of the top-rated locations in Korinthos! Guests are happier about it compared to other properties in the area. When would you like to stay at Jo Marinis Rooms? Overlooking the garden or the mountain from its balcony, this air-conditioned room comes with free Wi-Fi. A fridge, a TV and a safe are available. The private bathroom is stocked with a hairdryer. Το καταλυμα μας λειτουργει οπως ενα μεγαλο σπιτι, η ατμοσφαιρα ειναι οικογενειακη και κανουμε οτι καλυτερο μπορουμε για τους πελατες μας. Επειδή λειτουργούμε ως ένα μεγάλο σπίτι , θέλουμε οι επισκέπτες μας να νιώθουν άνετα σε όλους τους χώρους του καταλύματος , γι αυτόν τον λόγο οι περιποιημένοι κήποι μας και οι καθαροί / άνετοι χώροι μας διατείθονται για ξεκούραση και γνωριμία με την ιστορική περιοχή μας . Δίνουμε ιδιαίτερη βάση στα υλικά που χρησιμοποιούμε για την παρασκευή γευμάτων ( πρωϊνό ) , επιλέγουμε τοπικά φρέσκα προϊόντα και πολύ μεράκι . Είμαστε στην διάθεσή σας για οποιαδήποτε πληροφορία ή ανάγκη έχετε . Η Αναστασία & η Ιωάννα πάντα χαμογελαστές περιμένουν να σας υποδεχτούν . Η γειτονιά μας είναι αρκετά ήσυχη με παραδοσιακά σπίτια . Σε απόσταση 350,00 μέτρων βρίσκεται η πλατεία του χωριού γεμάτη με καταστήματα ( εστιατόρια - καφενεία - σούπερ μάρκετ - ντελικατέσεν ) Σε περίπτωση ανάγκης λειτουργούν φαρμακείο και ιατρείο . Στην πλατεία βρίσκεται και ο αρχαιολογικός χώρος της Αρχαίας Κορίνθου μαζί με το μουσείο που σας περιμένουν να τα επισκεφτείτε . Επίσης ιδιαίτερης ιστορικής σημασίας είναι και το κάστρο της Ακροκορίνθου όπου πραγματικά το σκηνικό σε μεταφέρει σε άλλη εποχή με πανοραμική θέα σε όλη την Κορινθία . House Rules Jo Marinis Rooms takes special requests – add in the next step! Jo Marinis Rooms accepts these cards and reserves the right to temporarily hold an amount prior to arrival. Please inform Jo Marinis Rooms of your expected arrival time in advance. You can use the Special Requests box when booking, or contact the property directly using the contact details in your confirmation. 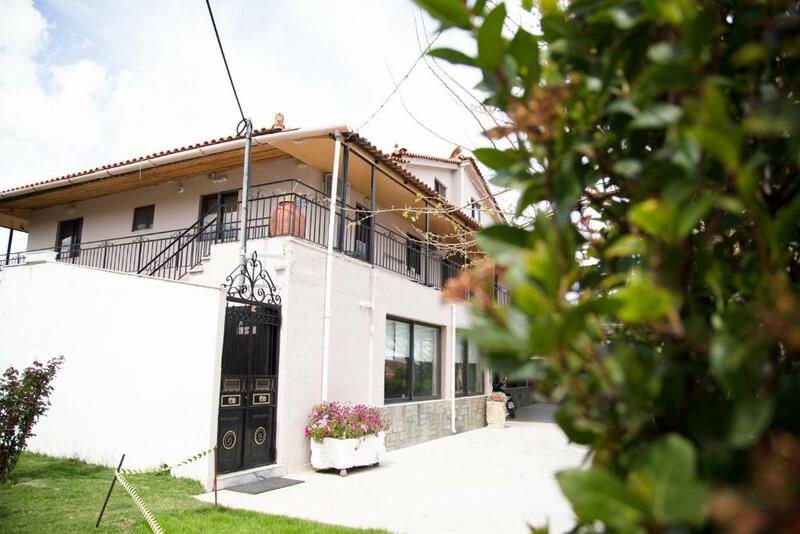 Clean and cheap, Quiet location, Safe off street parking for motorcycles. Super friendly hosts who accommodated our late arrival, helped with personal sightseeing suggestions and served a yummy breakfast. Thank you. very friendly staff Jo goes out of her way to make your stay comfortable and she has lots of knowledge of the area. We were able to keep our bags there while we went to see the ancient sites before we checked out. 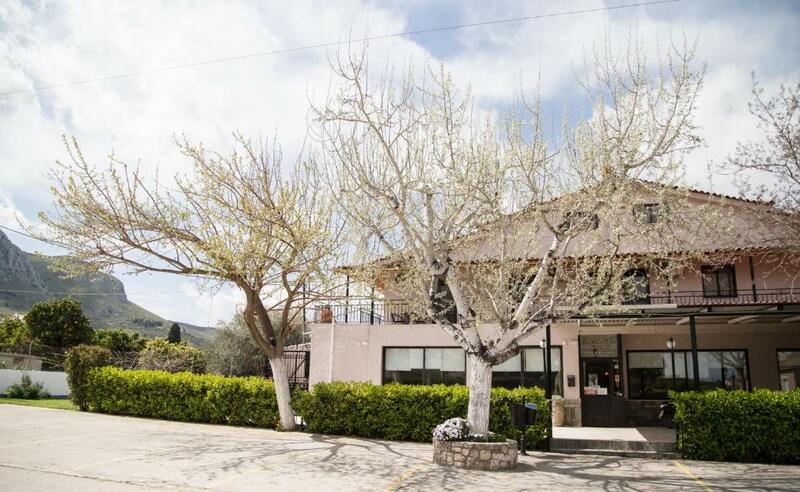 excellent rooms with view in very good condition and all accessories were present for the perfect stay! It was a little bit hard to find. Our GPS stopped us at town centre but the locals pointed us in the right direction. Jo went out of her way to make us comfortable. We couldn't get the aircon to work so she moved us to another room. Very friendly. Beautiful and quiet, great view of Akrokorinthos. And what a surprise to find out she was from Australia too. Jo, the host, was very friendly and helpful. She speaks English perfectly. She recommended us a worthwhile drive to Acrocorinth and a good restaurant. The room was good but rather small. NOISE: The locals do nothing to control wild dogs who sleep during the day because they bark all night. Dozens of them. The male host chose to use a leaf blower , against the wind, to clear his hedges of leaves ... 2 f’n hours oblivious to the fracturing that does to everything: tv, thought processes, sleep ... just leisure. The church is permitted to assault the entire town and countryside with its turned-up volume PA system, INCLUDING the actual internal belly-aching sermons and ‘singing’ ... if you are a different brand, or gods-forbid, if one is an atheist, then one simply is run over, ignored, subjected to compulsory indoctrination of the most ghostly kind. Nothing wrong with the property or woman host.